Did You Know That Food Therapy Is An Equally Important Healing Tool In Chinese Medicine? There are a number of healing practices that are included in Chinese medicine. 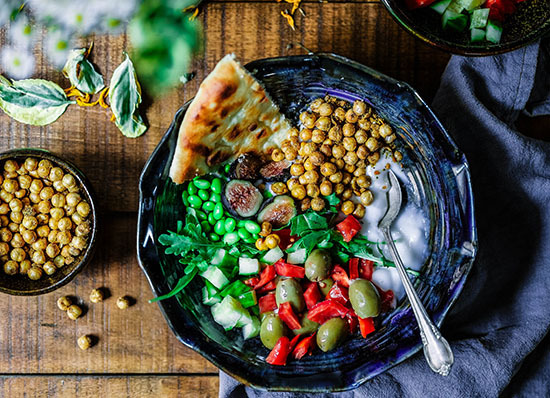 You may be familiar with acupuncture and Chinese herbs, but many people are unaware that food therapy is an equally important healing tool in this medicine. The Chinese say that practitioners should first try to heal by prescribing the right foods, and only if that fails should they turn to acupuncture and herbs. It’s all about energy in Chinese medicine. From a Western perspective, we tend to count calories in order avoid eating too many. However, in Chinese theory the reason for eating is to gain energy for your body to function. The calories you eat are a kind of Qi, or life force, which are needed to fuel all of the things your body does, including immunity, the ability to heal, movement, digestion, breathing, temperature regulation, and metabolism. How you cook your food matters. This is also about energy, but also about your digestion. According to Chinese theory, you need an adequate amount of digestive fire, or energy, to digest your food completely in order to derive the energy and nutrients from it that you need for your body to function. However, raw vegetables and fruits take more fire than cooked foods to digest completely. Simply put, cooking your food is a little like pre-digestion. If you’re having digestive problems, are ill, or are fatigued, eating a lot of raw foods may only aggravate your condition. According to Chinese theory, you’ll get more overall energy out of your food if it’s cooked. Foods aren’t considered to be good or bad in general. One of the foundations of Chinese food therapy is that foods are chosen based on your specific needs. What’s good for your best friend may not be what’s healthy for you. In Western culture however, we’re quick to look for superfoods that are a panacea for everyone, or to eliminate whole categories of foods that might only be a bad choice for some people. For example, in the past fats have been labeled as foods to avoid without making the distinction between healthy and unhealthy fats. Today, carbohydrates are labeled a food culprit, when in fact there are many healthy carbohydrates. The end result is that we’ve eliminated potentially healthy foods from our diets and are eating a lot of foods that might not be optimal for everyone. In Chinese medicine, eating too many of the wrong foods aren’t necessarily considered to be fattening, but instead are dampening. Dampness occurs when you eat too much of the wrong food for you, combined with poor digestion or metabolism. Your body gets bogged down and moisture accumulates, causing “puddles” of dampness to build up in the form of edema, yeast overgrowth, athlete’s foot, and moist rashes. In addition, adipose tissue—or fat—is also considered to be an accumulation of dampness. In Chinese food therapy, foods are classified by how they act on your body. In Western medicine and dietetics, we categorize our food in terms of fats, carbohydrates, and proteins. Our food pyramid and recommended dietary choices are based on these categorizations. However in Chinese food therapy, foods are classified by how they act on your body. Similar to Chinese herbal therapy, foods have inherent temperatures and actions. The temperature of a food is not a description of how spicy it is, but a way to describe the thermal effect it has on your body. For example, melons are considered to be cooling foods, but lamb is warming. In addition to its temperature, foods also have an action. For example, a food can boost your energy, build up your blood, or drain dampness. In Chinese food therapy, the foods that are recommended for you are based on both temperature and action, according to your specific health needs. According to Chinese medicine, one of the underlying causes of disease is eating food that’s been “wrecked”. If you wheel your cart through a grocery store, either in the United States or China, you’ll find foods that have all kinds of additives. With ingredients such as artificial flavors, to food dyes, to preservatives, many of the foods you find in the grocery store have been chemically altered to enhance shelf life, flavor, and appearance. According to Chinese medicine, one of the underlying causes of disease is eating food that’s been “wrecked”. In ancient times, that meant rotten or spoiled food. Today however, wrecked food might mean products that are unrecognizable as food due to chemical additives or processing that has stripped them of their nutrients. One of the basic principles of Chinese food therapy is eating foods as they’re found in nature. While Chinese food therapy is best done in partnership with your acupuncturist or practitioner of Chinese medicine, the above comparisons offer up a few guidelines for eating just a little better. Pick foods that make you feel your best, not those based on current diets or food fads. Try to choose foods with few or no additives; cook most of your produce; don’t worry too much about calories; eat slowly; and enjoy your meals. In addition to her training in Chinese food therapy, Cynthia Chamberlain is also certified as a Functional Nutrition Guide by mindbodygreen’s Functional Nutrition program. In choosing appropriate food therapies for an individual, she incorporates both western Functional Nutrition and Chinese food therapy. When someone tells you that they have a headache, it’s hard to imagine what they’re feeling. Do they mean that it hurts throughout their head or just over their left eye? Is their pain dull and achy, throbbing, burning, or sharp? Headaches caused by congestion, swollen sinuses, or a full-blown sinus infection. The pain from a sinus headache is usually felt in the front of your head, forehead and cheeks. Tension headaches, which are triggered by and the result of stressful situations, chronic stress, and emotional upsets. Frequently tension or stress headaches begin in your neck and shoulders, which are areas where it’s common to feel tightness when you’re under stress. Cluster headaches that can be intensely painful, usually one-sided, and with the pain that occurs near your eye or nose. They’re called cluster headaches because it’s common for them to occur in a group of frequent attacks, or clusters. Beyond sharp pain, this kind of headache may cause your nose to run or your affected eye to water. Rebound headaches are those that occur when you stop drinking coffee, caffeinated drinks, or certain medications. They tend to be dull and achy, and usually resolve after three or four days. Migraines are considered to be the mother of all headaches, and are actually considered to be a neurological event, with headaches as one of the most notable symptoms. Migraines tend to move through stages, are usually one-sided, and can be extremely painful. In Chinese medicine, the categorizations between headaches are a little different than that of Western medicine. The symptoms associated with your headache give your practitioner a number of clues to the state of your overall health—not just your headache. Essentially, your headache has a personality that mirrors the condition of your entire body. Your headache may be dull and achy or sharp and stabbing. In general, mild and dull pain is an indicator of being depleted; along with your headache you may be run down or fatigued. These headaches tend to be chronic in nature. In contrast, a headache that is fixed, sharp, and intense is associated with some kind of blockage or constriction. In the case of your headache, it may be constricted blood vessels, contracted muscles, or both. While this type of headache can be chronic, they’re more likely to be acute, occurring less often than mild and dull headaches. Triggers, or what sets off your headaches, can be extremely helpful in diagnosing and treating them. Some triggers are obvious, such as high levels of stress or quitting coffee. However, there are other triggers that are more subtle. For example, food intolerances are a common trigger for headaches, but can be very hard to identify. Variations in blood sugar, hunger, or becoming dehydrated can also be culprits. The weather is also a common cause of headaches for many people. Changes in the weather, a drop in barometric pressure, very cold or hot weather, and damp or humid conditions all can spark a headache for some sufferers. It’s also important to realize that it may be a combination of factors that is setting off your headache, which ultimately makes it harder to pinpoint. Symptoms that accompany your headache are also a clue to what’s going on in Chinese medicine. For example, some people who suffer from migraines feel hot in their upper body or head during an attack, but others may feel chilled. Other symptoms that may occur during your headache include nausea and vomiting, sensitivity to light or sound, fatigue, and irritability. Knowing these symptoms are helpful to your practitioner in diagnosing and treating your headaches. In Chinese medicine, illnesses and conditions are diagnosed according to patterns, or clusters of symptoms. This is true for headaches, as well. 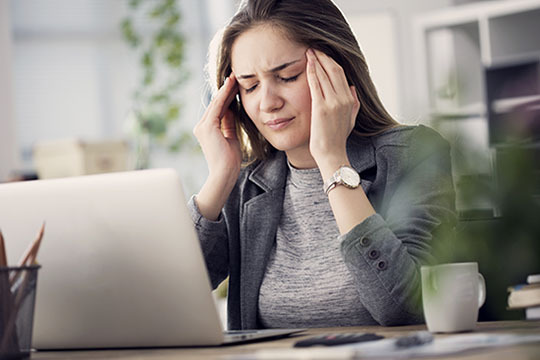 The nature of your headache symptoms, along with the condition of your overall health, determine the pattern—and the underlying cause—of your problem. In fact, your acupuncturist can’t begin to treat effectively until they’ve established the source of what’s making you ill. If you choose to treat your headaches with acupuncture and Chinese medicine, your practitioner will develop a treatment strategy based on your unique combination of symptoms and overall pattern. They will likely combine a number of healing tools, starting with acupuncture. Your practitioner may also prescribe an herbal formula, which can be tailored to your specific needs. In addition, they may incorporate food therapy, lifestyle modifications, and stress relief strategies into your treatment plan. The bottom line is that while no two headaches are exactly alike, Chinese medicine can offer effective treatment for your unique symptoms.